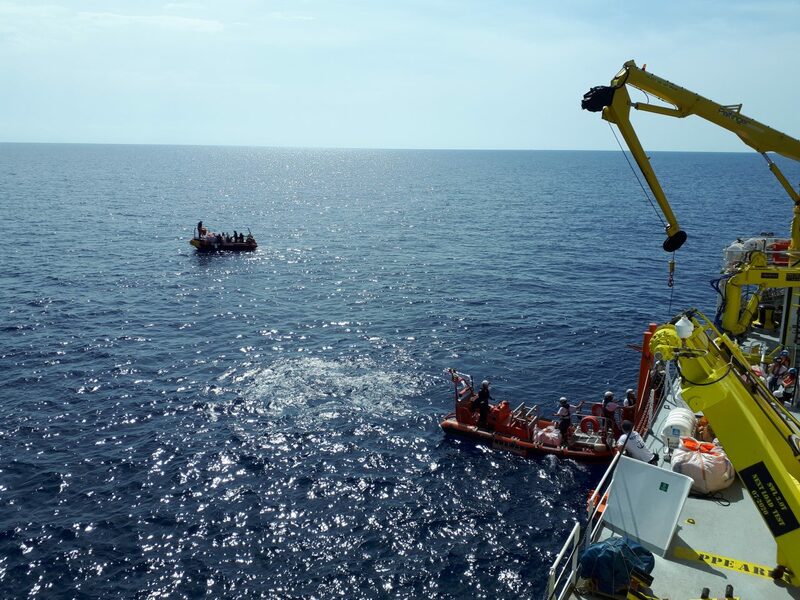 Aquarius stops at position 40°33.70 N, 6°59.82 E to conduct drills at sea. RHIBs Easy 1 and Easy 2 are launched off starboard side of the ship. Bananas and rafts are deployed for practice exercices.